This morning our nation lost of its brightest stars and true patriots. 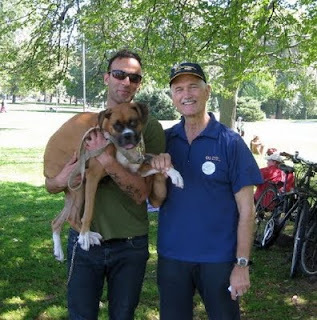 Today we mourn the passing of federal NDP leader and Toronto-Danforth MP Jack Layton to cancer. Mr. Layton's death is a tremendous loss for Canada and Robb and Andre's local community in Toronto. Mr. Layton was a passionate and genuine man deeply committed to his country and its people. A rare bird and shining spark of hope in an ominous landscape. While men and women do not live forever, ideas do. It's up to all of us to carry forth the legacy and vision that Mr. Layton helped develop and articulated so well. We are all stronger by virtue of his efforts, and while it is certainly a sad day for Canada, it is not the end of a social movement led by Mr. Layton's NDP that looks after the interests of everyday working people, compassion, and true democratic values. Jack Layton gave so many Canadian the most powerful gift of all: optimism. Condolences to Olivia Chow and the rest of Mr. Layton's family.